If you have any questions about the MYSTIQUE information page below please contact us. The motor yacht MYSTIQUE is a superyacht of large proportions. This 50 m (162 ft) luxury yacht was built by Oceanfast (Austal) in 1989. Superyacht MYSTIQUE is a beautiful yacht that can accommodate as many as 10 passengers on board and has approximately 10 qualified crew. The firm of naval architecture that made the design details with respect to the yacht is Phil Curran and Bannenberg Designs Ltd. Bannenberg Designs Ltd in addition was responsible for this boat's interior styling. 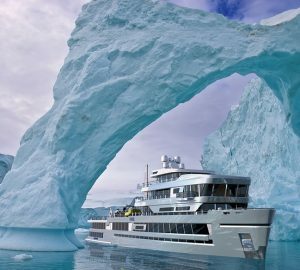 The yacht's general design work came from Phil Curran and Bannenberg Designs Ltd. The formal naval architecture plans are the products of Phil Curran. Motor Yacht MYSTIQUE received her stylish interior designing from the interior design office of Bannenberg Designs Ltd. In 1989 she was actually launched to accolade in Fremantle and following sea trials and detailing was afterwards handed over to the owner. Oceanfast (Austal) completed their new build motor yacht in Australia. The core hull was built out of aluminium. The motor yacht superstructure component is fabricated extensively using aluminiumandgrp. With a beam of 9.3 m / 30.5 feet MYSTIQUE has fairly large internal space. A fairly shallow draught of 1.46m (4.8ft) selects the list of worldwide ports she can berth in, depending on their particular depth. She had refit maintenance and alteration work carried out in 2008. She makes use of twin powerful MTU main engine(s) and can reach a bracing top end speed underway at 35 knots. The main engine of the ship creates 3480 horse power (or 2561 kilowatts). Her total HP is 8920 HP and her total Kilowatts are 6564. She is driven by tripple water jets (kamewa). With respect to the ship’s stabalisers she uses Vosper. With respect to bow thruster maneuverability she was built with X2. The boat’s speedy cruising speed is 26 knots which offers a range of 3400. 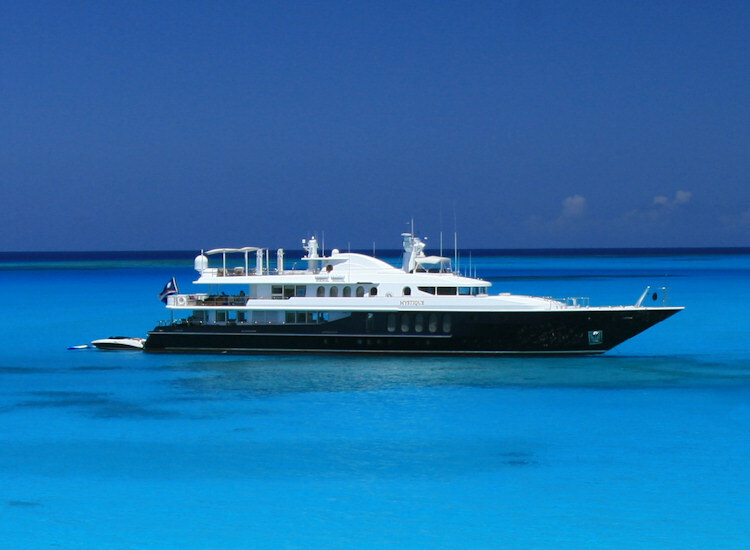 Offering space for a maximum of 10 yacht guests spending the night, the MYSTIQUE accommodates them in luxury. This ship has room for approximately 10 professional crew to run. 49.5 metres / 162.4 feet. 16V 396 TB94 / 12V 396 TB94 diesel. Northern Lights 2 times 130 kilowatts. The luxury yacht MYSTIQUE displayed on this page is merely informational and she is not necessarily available for yacht charter or for sale, nor is she represented or marketed in anyway by CharterWorld. This web page and the superyacht information contained herein is not contractual. All yacht specifications and informations are displayed in good faith but CharterWorld does not warrant or assume any legal liability or responsibility for the current accuracy, completeness, validity, or usefulness of any superyacht information and/or images displayed. All boat information is subject to change without prior notice and may not be current.